Tile calculation is very important for quantity surveyors. Tiles may come in different shapes like square, circular, elliptical etc. It is easy to make calculation for square shaped tiles. But the process becomes complicated for circular or elliptical shapes. In the following construction video, the detailed process is given for making calculation for different types of tiles surfaces as well as locating number of tiles necessary for the surface of the structure. So, No. of tiles = H x L / S x S, here S denotes Surface area of tile. This process will be most suitable for finding out the number of tiles with square shape. 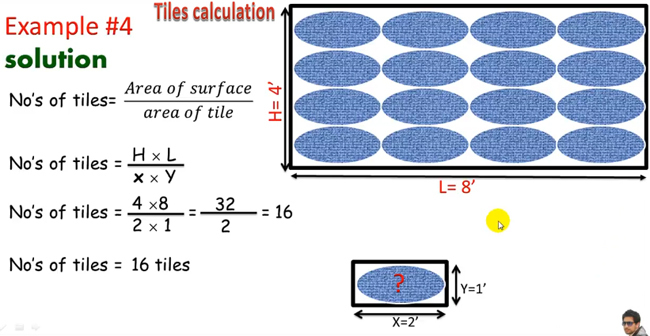 To learn the process for calculating the number of tiles for circular or elliptical shapes, watch the following video.